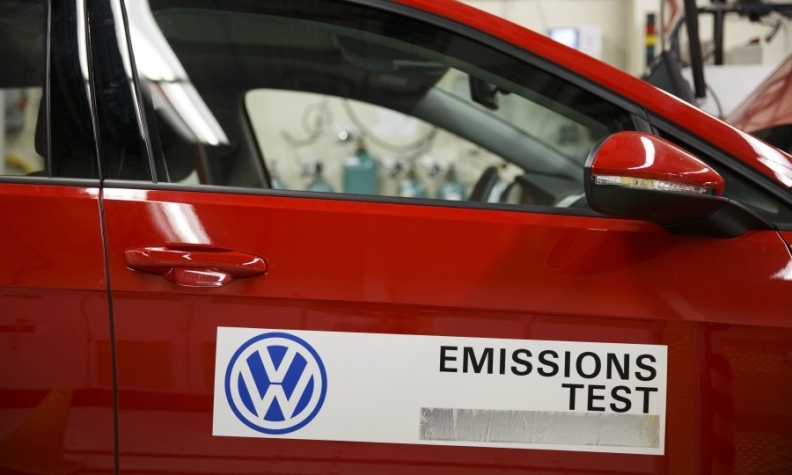 CHICAGO/WASHINGTON -- The California Air Resources Board plans to break ground Friday on a vehicle emissions test lab that will cost $419 million, with a third of the money coming from penalties that Volkswagen Group is paying because of its diesel-cheating scandal. The new lab's technical capabilities will rival those of automakers themselves, CARB Chairman Mary Nichols said in an interview. California needs these capabilities to combat not just fraud, but also a growing gap between automakers' initial projections for emissions and their long-term, real-world performance, she said. "As you get tighter and tighter emissions controls, you begin to reach a point where it's hard to argue for stricter standards as opposed to looking at whether the cars are meeting the standards for which they were certified in the first place,'' Nichols said prior to Friday's ground-breaking. To meet this emerging need, the 380,000-square-foot lab -- which will be built near the campus of the University of California, Riverside -- will rely more on portable test equipment and roadside monitoring than the 44-year-old El Monte facility. Stationary dynamometers at the El Monte facility helped expose the VW cheating scandal in 2015. Volkswagen admitted in late 2015 that it rigged about 11 million diesel vehicles worldwide to cheat emissions tests, kicking off one of the largest corporate fraud scandals in the history of the global auto industry. VW's total costs from settlements, buybacks and other steps to remedy the scandal have reached some $30 billion. As early as next week, CARB will announce a road map for meeting California's existing legislative mandate to cut statewide carbon dioxide emissions to 40 percent below 1990 levels by 2030, Nichols said. That could mean requiring up to 40 percent of new vehicle sales to be fuel cells, battery-powered cars or plug-in hybrids by 2030, up from 3 percent today, according to a CARB staff report last year. Nichols also said that by the end of October, she hopes to hear back from the Trump administration on its effort to roll back fuel-efficiency standards that California and the Environmental Protection Agency have already mandated for 2022-2025. In an earlier interview, Nichols said she will consider discussing these potential rollbacks with the White House and with automakers if they can demonstrate the cuts are necessary -- and if they in turn support California's drive for tougher CO2 limits by 2030.